At the height of the flu season, it may be detrimental to your health to remember your oral health. On the whole, we’ve become fairly good at washing our hands, keeping work areas clean, and being aware of how germs are spread. But, what about your toothbrush or your retainer? As the orthodontist Vancouver residents trust for their braces, it is important to note that we also care about your overall health in addition to your oral health. Your oral hygiene needs to include proper cleaning routines, especially during the cold and flu season. Schools are notorious for the spread of germs. To best protect yourself, wash your hands throughout the day and remember to cough or sneeze into your elbow, not your hands. Keep your hands to yourself and wipe down your books, backpacks, and writing utensils from time to time. Door handles, lockers, and desks along with anything else students come into contact with should also be sanitized often. For those of you Vancouver orthodontist patients who have retainers, refrain from setting them on your table or tray when you eat. Store your retainer in the container we provide you with or in a plastic bag when not in use. Clean your container and your retainer at least twice each day. We have more control over cleanliness at home. When illness spreads throughout your house, take the time to wipe down surfaces with cleaners that combat germs. Pay close attention to light switches, remote controls, phone and tablet surfaces, door handles and bathrooms. It is also wise to replace your tooth brushes after you’ve been sick. 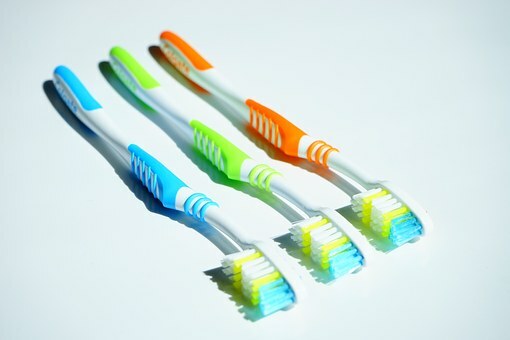 The American Dental Association recommends replacing tooth brushes three to four times every year. Replacing the brushes after you’ve experienced an illness protects your oral hygiene needs and health. Toothbrushes are an important part of your hygiene routine. Stop germs from spreading from you to others with proper toothbrush and retainer storage habits. If you only wear your Vancouver orthodontist provided retainer at night, make sure it is stored in a clean, germ-free place when not in use. Keep the retainer away from bathroom counters, and gently clean the retainer before putting it in your mouth. Don’t let toothbrushes touch when they aren’t being used as they can pick up other people’s germs and viruses. Aside from making your smile look great, we work hard to address your oral hygiene needs. We are dedicated to providing our Vancouver orthodontist patients with a sterile environment for every visit and do all we can to protect you from germs year round. A healthy mouth is the gateway to a healthy body. Join our Facebook page to stay up to date with the latest in oral hygiene and orthodontia care and feel free to call our office if you have any questions.